In a report for Credit Suisse, emerge85 co-director Afshin Molavi outlines how emerging markets can flourish in a time of disruption. “Everyone has a plan,” the American boxer Mike Tyson once quipped, “that is, until you get punched in the face.” Policy-makers, strategic planners, corporate leaders, and analysts from all industries would do well to remember “Tyson’s Law”. Once you add Moore’s Law – the doubling of computing power every two years or so – to Tyson’s Law and you throw in a dash of geopolitical uncertainty, regulatory risk, and Fourth Industrial Revolution technological advances, it becomes evident that punches will come at all of us over the next few years with even greater speed than imagined. Given the certainty of change, how can we understand the future of world politics in our present age, an age with a new velocity? A good place to start would be to anchor ourselves in the most important demographic feature of our world today: The 85 World. More than 85% of the world’s population lives outside of Northern America and Europe. This is not a forecast projecting outward to 2050 or beyond. This is our demographic reality today, and this fact should be imprinted in the minds of governments and businesses seeking to understand our world. As goes the ‘85%’, so goes the world of tomorrow. It was not always this way. At the turn of the 20th century, Europe was home to a quarter of the world’s population. Today, it accounts for about 7%. A central demographic feature of the past century has been the steady and often rapid population rises in Asia and Africa, and the relative demographic decline of the West. Today, three out of four people in the world live in Africa or Asia. The West is not just a demographic minority, but a significant one. While the 85% have been overtaking the West in terms of population growth over the past century, the picture of an advanced West and an underdeveloped ‘rest’ largely held through much of the 20th century. This is no longer the case. In the early 1990s, the emerging and developing economies accounted for about 40% of global GDP on a purchasing power parity basis, according to IMF figures. Today, emerging and developing economies account for some 60% of global GDP. The economic tectonic plates have already shifted and the landscape has been permanently altered. Note: Based on 1990 data, developed economies are defined as: Australia, Austria, Belgium, Canada, Denmark, Finland, France, Germany, Greece, Iceland, Ireland, Italy, Japan, Luxembourg, the Netherlands, New Zealand, Norway, Portugal, Spain, Sweden, Switzerland, the UK, and the US. Emerging economies comprise all others. For much of the 20th century, the Western world dominated the global production of culture, commerce, and technology, and created the global architecture of institutions that still largely organize the international community. As a result of these ‘facts on the ground’ created in the ‘Western century’, we are living in a world largely created by today’s 15% – or, rather, a few major countries of the 15%. Of late, China has taken measures to challenge the Western-created world order with a series of institutions and policy initiatives, including the Belt and Road Initiative, the Asian Infrastructure and Investment Bank, and the New Silk Road Fund. But, while these initiatives are shiny and new and capture headlines, they still have a long way to go to unseat the entrenched order of institutions from the World Bank and IMF to the United Nations and the World Trade Organization. China and India, of course, play a central role in “the 85%”. Combined, the two states account for more than one-third of the world’s population, but they are on different demographic trajectories. China’s population is aging, while India’s remains young. A million Indians turn 18 every month, three Indians experience the internet for the first time every second, and 30 Indians move from a rural environment to a city every minute. According to the UN, India’s population will overtake China’s over the next decade and, by 2027, India will have the world’s largest middle class. 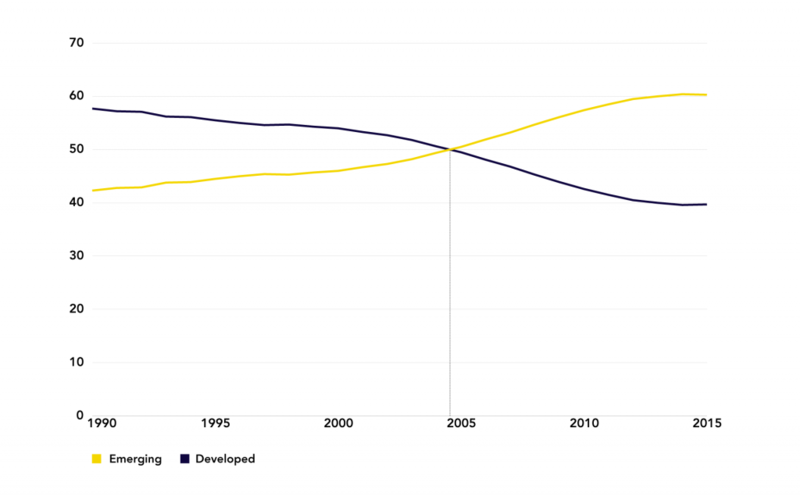 Beyond the two Asian demographic heavyweights, Africa’s population is rising exponentially. Indeed, by the year 2050, Africa is expected to go from a population of 1.2bn to a population of 2.5bn, a mind-boggling leap that will have far-reaching implications for our world. What’s more, urban Africa will leap from 470m today to more than 1bn by 2050. Africa’s demographic story is a slow-moving tsunami with far-reaching implications for business, politics, and societies on the continent and worldwide. To get a sense of where we are headed, consider this: every year 129m children are born, according to UNICEF. That’s roughly 353,000 per day, 14,700 per hour, and 245 in the minute it requires you to read this paragraph. Where are they being born? Mostly in the 85 World – particularly in Asia and Africa. Barring a catastrophic natural disaster or a devastating geopolitical conflict in Asia, these 129m births will remain steady. Thus, the demographic and economic weight of the 85 World requires our sustained attention in a globalized and continually globalizing world. It also offers analysts an anchor to begin looking anew at the future of global politics. In an age of disruption, it offers some solace to find trends that are largely disruption-proof. The fact that 85% of the world’s population will live outside of Northern America and Europe is one such disruption-proof trend. As Europe’s population ages and even declines, fast-growing Africa and Asia will continue to dominate global demographics. Over the next few decades, we may be discussing the “86 World” or the “87 World”. But within the current 85 World of Africa, Asia, Latin America, and the Middle East, three trends stand out as enduring, resilient, and largely disruption-proof. They are rapid urbanization, rising connectivity, and growing middle classes. These trends will likely endure over the next two to three decades regardless of the latest coup in Africa or who sits in the White House or the Elysee Palace – and these trends will shape the future of business and politics worldwide. As the old adage goes, “where you stand depends on where you sit”. If you sit in the C-suite of a multinational company, these trends offer a signal to your future: The increasingly urbanized and wired consuming classes of the emerging world have become the great commercial prize of the 21st century, chased by the likes of Coca-Cola and Unilever, as well as emerging market companies like Emirates Airline or Tata Motors. They are right to chase the growth across the 85 World. In fact, their future may even depend on it. If, however, you sit in the chanceries or palaces or parliaments of the emerging world, or in the United States National Security Council or the European Union, you might see the mix of urbanization, connectivity, and growing middle classes across the emerging world – particularly in weak or non-democratic states – as a combustible mix that could lead to the cycle of rising expectations, dashed hopes, and attendant instability that comes with seismic changes to societies and economies. And they, too, would be right. Take Africa, for example. There is no doubt that the rising population, urbanization, and connectivity transforming the continent provides unique growth opportunities for consumer companies from telecommunications to fast-moving consumer goods, from healthcare to energy. There is also little doubt that even the most bullish cheerleaders of the “Africa is Rising” narrative could hardly imagine a scenario whereby the continent can keep up with the job demands of its youthful population. 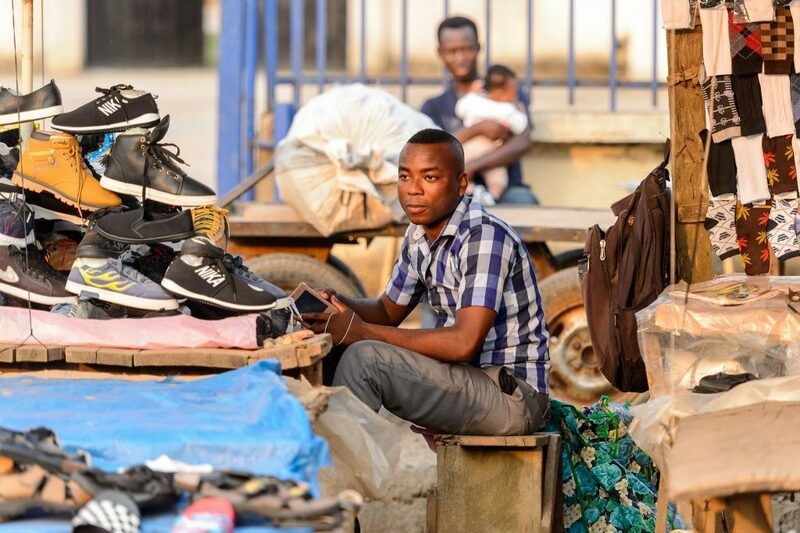 Sub-Saharan Africa’s median age is 19. The EU’s median age is 42. Thus, the same 19 year olds that will be market tested and targeted by corporations will likely storm the economic gates of Europe in large numbers in search of a better life over the next two decades. Yes, they will consume more, but they will also grow frustrated at their lack of opportunity. Thus, we can expect European politics over the next decade to be faced with an ongoing African migration challenge, leading to populist, nationalist, and anti-migrant politics. The African migration-to-Europe trend is one of those long-term simmering trends that are available for all to see and will shape European politics in the future, but will likely only gain high-level public attention when it is accompanied by disaster or violence. It is hard to imagine a significant slowdown in urbanization or connectivity across the emerging world partly because – in the absence of massive government efforts to slow it down – urbanization and connectivity are part of the temper of our age: the Age of Aspiration. The rural-to-urban migration that has reshaped China and is reshaping India centers on the basic human aspiration of achieving a better life. We are living in an era where small matters make headlines (think presidential tweets or daily political jousting), but the big ones hardly garner attention. The biggest of all is the revolution of aspiration. Never before in human history have so many people across so many continents been in a position to aspire meaningfully to a better life. That means in more places than ever, sons – and daughters – are no longer confined to stay in the social class or educational level of their fathers and grandfathers and have a reasonable chance at upward mobility. Indeed, it has become unremarkable for the daughter of a Kenyan farmer or the son of an Egyptian taxi driver to aspire to and achieve a better life through education, entrepreneurial flourish, or migration. As Steven Radelet, the Georgetown University economist and author of The Great Surge: The Ascent of the Developing World, points out, a billion people have been lifted from poverty since the early 1990s. Today, one in six people live in poverty, while a little more than a generation ago, one in two people lived in extreme poverty. For most of human history, the vast majority of people lived lives full of want, scarcity, and insecurity. This is no longer the case. This is, of course, good news on a macro level, but individuals do not live in a macro world. There are plenty of people who will not achieve their aspirational goals, and they will not be cheered by the positive macro numbers or the achievement of development goals laid out by the World Bank and other global multilateral bodies. Perhaps just as importantly, they will live in a world where others – even of their own social milieu – have succeeded. Feeling left behind by peers stings more than if everyone stays behind. And the ‘left-behinds’ have been a powerful force shaping world politics for centuries. When the Tunisian dictator Zine El Abidine Ben Ali stepped down, he had fallen due to a combination of rising middle classes with rising expectations, unprecedented tools of connectivity mobilizing against an unjust ruler, and hollowed out support from an urban middle class that wanted better governance and less corruption from their elite. 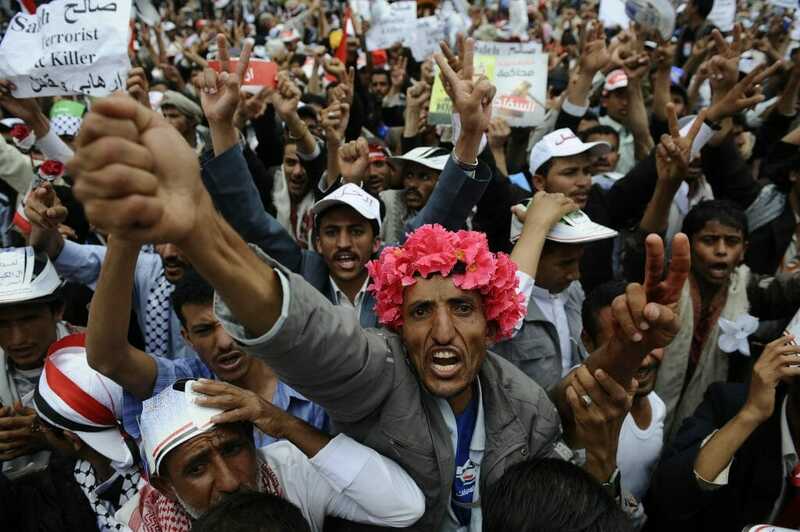 As the revolution spread across the Arab world, these urban middle class revolts used both the newer networks of connectivity and the older religious, tribal, and neighborhood networks to topple leaders from Egypt to Yemen. 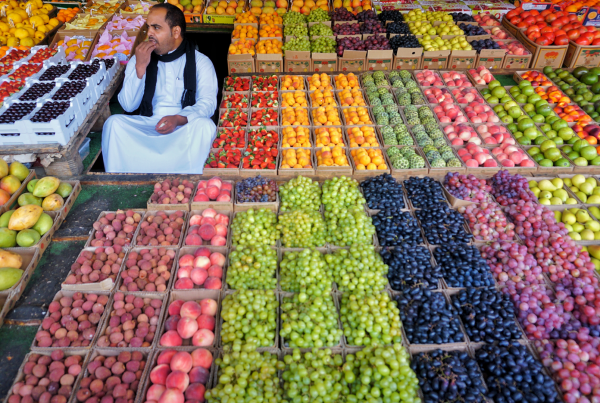 All across the Arab world, on the eve of the uprisings, ironically, Macro World Arabia looked reasonably good. Several decades preceding the uprisings witnessed considerable advances in access to tertiary education, quality healthcare, and access to technology. In the decade before the uprisings, several countries, including Egypt, became emerging market hot spots, attracting foreign direct investment from advanced to emerging economies. From 2004, Egypt began a series of market opening and business-friendly reforms that won plaudits from the World Bank and international investors. Former President Hosni Mubarak’s cabinet included technocrats and former business executives comfortable in the boardrooms of New York and the conference rooms of Davos. From 2006 to 2008, Egypt’s economy hit steady 7% growth, and recovered fairly quickly from the global financial crisis to achieve 5.1% growth in the year before the revolution. All of this took place amid a time of rising connectivity and growing middle classes in Egypt. The fact that Egyptians took to the streets just as their lot was improving – or at least their macro world was improving – might tempt the observer to fall on the de Tocqueville theory of revolution that “it is not always by going from bad to worse that a society falls into a revolution”, but rather, “it happens most often that a people, which has supported without complaint, as if they were not felt, the most oppressive laws, violently throws them off as soon as their weight is lightened”. This is, in essence, the revolution of rising expectations, and while there is some truth to this claim, something else is at play here. In Egypt and Tunisia and across the Arab world, what we witnessed is the corollary of the Revolution of Rising Expectations: the Revolution of Aspirations Unmet. In de Tocqueville’s theory, he could not have foreseen a world in which so many people had experienced and seen such dramatic material gain in their lives, and so many people felt an innate ‘right’ to a life of economic and human dignity. This is what the Age of Aspiration has wrought, and like all of the forces described herein, there is a double edge to this sword. On the one hand, meaningful aspiration fuels the ambition that leads to hard work, entrepreneurialism, or innovation that serves as a key engine of The Good Society. Aspirations unmet, however, can lead to the frustration, alienation and disaffection that can tear societies apart. Our future, in so many ways, lies in cities. Today, we are 54% urbanized worldwide, according to the UN, and headed for two-thirds urban by 2050. Across the world, some 1.5m new urban dwellers are created every week, either through births or through rural-to-urban migration. 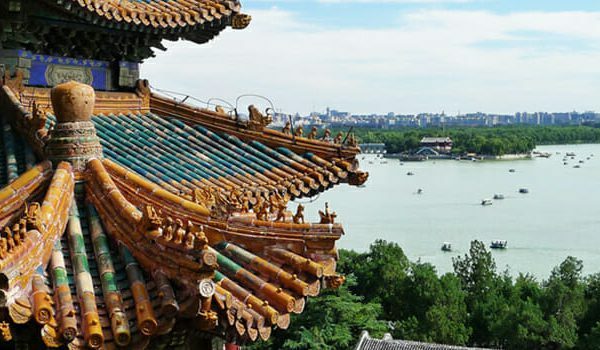 China surpassed the 50% urbanization mark in 2012 and will never look back. Cities are both extraordinary laboratories for human innovation and productivity as well as crucibles for potential political instability and searing human tragedy. The new urban dweller needs healthcare, water, jobs, and other basic services. The new urban dweller also needs hope – after all, it is hope that propelled the move to the city, dashed hopes can be more dangerous than having no hope at all. There has emerged a trope of our era about the West, of a dividing line between the city and the hinterland. The hinterland, this trope goes, wants to slow down globalization, fears mass immigration, and is skeptical of political and media elites. The city, on the other hand, is not threatened by immigrants, feels comfortable with globalization, and embraces progressive social change. Putting aside the sweeping notion of these assertions, it is fair to say that the city will determine our economic future, not the hinterland. And thus, cities will determine the future of our global politics. Cities account for the vast majority of global economic output and, in some cases, they drive national economies. Imagine South Korea without Seoul, which accounts for nearly half of its GDP, or Indonesia without Jakarta, accounting for some one-quarter of its GDP. Across the 85 World, cities have emerged as lodestars, as models of success and aspiration, like Hong Kong or Singapore of previous generations, or Dubai, Abu Dhabi, Shanghai, or Beijing of today. Young people are taking note. 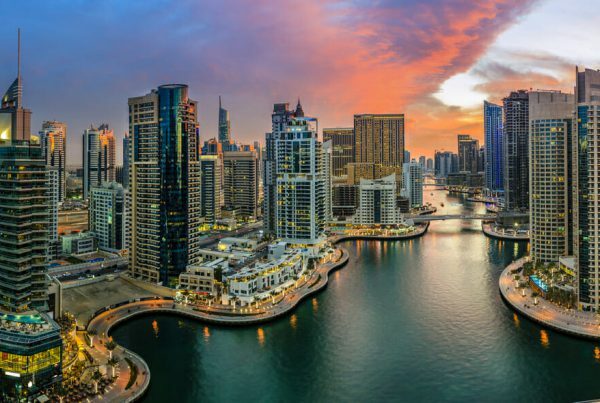 Over the past six years, when young Arabs between the ages of 18 and 24 were asked by the global public relations firm Burson-Marsteller to choose any country in the world where they would like to live, their answer has been revealing: the United Arab Emirates, even besting the US. What they really meant were the two principal cities of Dubai and Abu Dhabi. This demonstrates that, when given a choice between staying in their own region, or migrating further, young people prefer staying close to home – if a city offers them meaningful opportunities to fulfill their aspirations. Thus the future of global politics lies in the future success or failure of emerging world cities. The cities that deliver the ‘goods’ – opportunity, world-class infrastructure, decent healthcare, good schools, jobs, and hope – will become, in a sense, zones of stability, prosperity, and human dignity. What is needed are more Shanghai’s and Dubai’s to ensure the Age of Aspiration does not lead to an Age of Anger. A version of this article was first published by the Credit Suisse Research Institute.